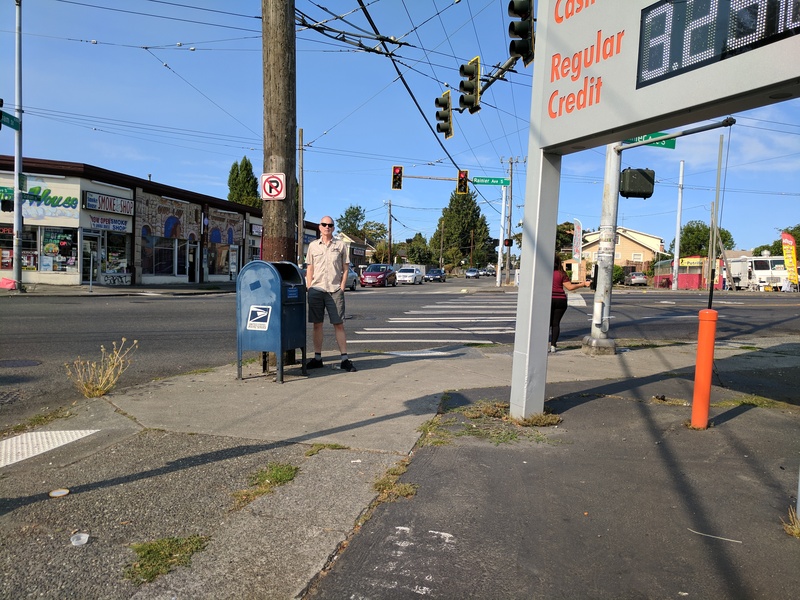 197) This box is on the sidewalk facing a 7-Eleven. It just endured another hot Seattle summer, watching people stream out of the store sucking on ice-cold delicious Slurpees. It wanted just one — ONE! — person to pause and pour their Slurpee down its parched mail chute. But no one did. No one did.